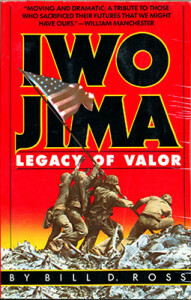 “IWO JIMA” Legacy Of Valor. By Bill D. Ross. 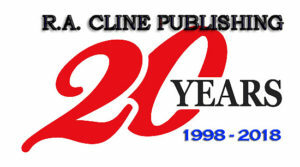 At age 23, the author saw action on Iwo as a sergent in the Marines. Iwo Jima: For five weeks in 1945 the tiny Pacific island 700 miles south of Tokyo saw some of the most intense combat in history. The Japanese defenders had transformed the island into the most ingenious fortress the world had ever seen, with an incredible system of tunnels and underground fortifications. As a result, about 20,000 Japanese died there, and American casualty figures approached 30,000. This is a book that will give the reader who is not a Marine a sense of what makes Marines function as they do in battle. It will, to an observer and veteran alike, bring the fighting on Iwo to a vivid life once more. Softbound edition. 380 pages, laced with an untold number of historic black and white photos and maps. Bibliography and an index.